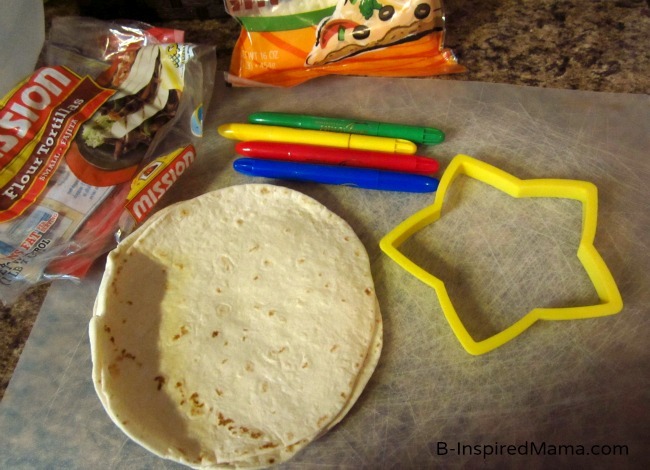 Use the cookie cutter to cut the tortillas into star shapes. 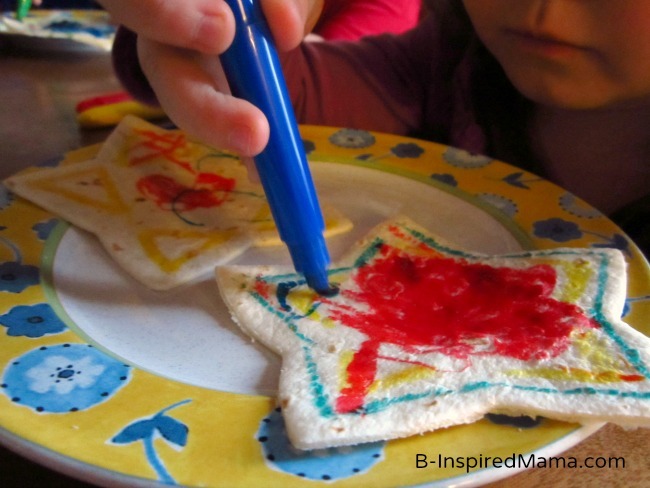 Let the kids use the food coloring markers to draw on and decorate the star tortillas. Spray a frying pan lightly with cooking spray and heat over medium heat. Place a tortilla star decorated side down into the frying pan. Sprinkle with cheese and seasoning. Place another tortilla star on top decorated side up. Heat for a few minutes until cheese starts to melt, making sure not to burn bottom. Flip and lightly brown the other side. The kids had so much fun playing with their food. 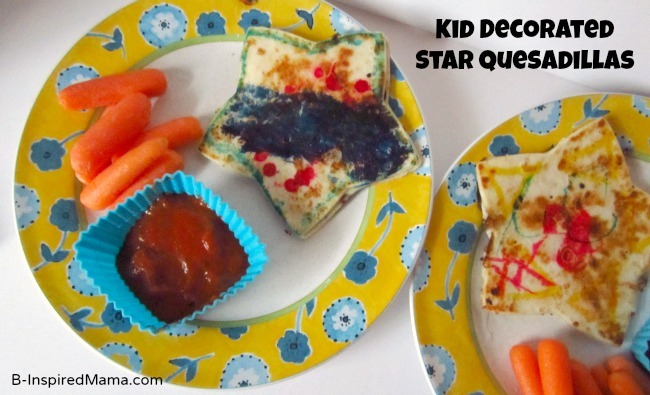 Have your kids been creative in the kitchen lately? I love to link up with: Thrift Share Monday, Made by Me Monday, Just Something I Whipped Up, Made by Little Hands Monday, Learning Laboratory Monday, Tasty Tuesdays, Tip Toe Through Tuesday, Tuesday Tots, Tip Me Tuesday, Get Your Craft on Tuesday, Made by Me Wednesday, Sugar & Spice Wednesday, Kids Get Crafty Wednesday, The Mommy Club Wednesdays, It’s Playtime Thursday, What Are Little Boys Made of Thursday, The Weekly Kids Co-op, Read Explore Learn Friday, For the Kids Friday, Kitchen Fun and Craft Friday, Delicately Constructed Fridays, Show & Share Saturday, The Sunday Showcase, The Sunday Parenting Party, and Link & Learn Sunday.